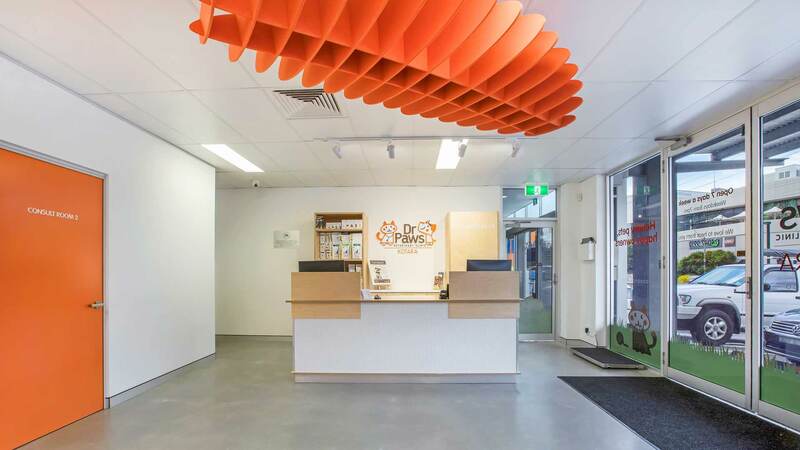 Nulex Construction is only a few short weeks away from completing an innovative commercial fitout for Dr Paws veterinary clinic at Kotara. A functional layout was designed by Victoria Carroll at Vault Design to fitout a vacant commercial space on Park Avenue in Kotara. Some interesting design features include polished concrete floors in the reception area and consulting rooms, as well the incorporation of architectural plywood into the reception joinery to give the area a modern look. You know how they say to never work with animals? Well the team at Dr Paws have been a delight to work with and we can’t wait to unveil their new space! Nulex are working towards the new clinic being open and operational before Christmas. If you would like to know more about the collaborative commercial fitouts that Nulex undertake, please give us a call.